Today's post is all about story-telling - checking in with what the stories are that you tell yourself on a daily basis. Some people might think that story telling is generally aimed at children, but I truly believe that as adults, we should be really aware and conscious of the stories that we are hearing, saying, and that we are telling others as well. For those of you who don’t know me, I’m Leila Hardy. I’m your online holistic health and life coach. I love nothing more than diving into the subconscious and energy to really allow you to be able to have the health, the wealth, the happiness, and the success you desire and that you dream of, because you deserve it! I do that using a variety of subconscious and energy healing principles, like RTT - Rapid Transformational Therapy, hypnosis, visualisations, powerful meditations, and Reiki energy healing, that really allow you to activate and amplify and manifest all the things that you want to have once you’ve removed all of the obstacles to having it. The reason this post came about was because I was aware that it was the national story-telling coming up here in the UK. That instantly got me thinking, “We are made up of stories.” It’s really important that we are aware of the stories that we tell ourselves and how they serve or don’t serve us in many ways. What really captured my imagination was the quote that I saw around some promoting around the story-telling week. But then, not to be negative, but actually if we look at the stories we tell ourselves, they can not only be enriching to our lives and empowering our imagination, but they can also debilitate our lives and our health, disempower our health, and can definitely feed the imagination - not always in a positive way. Let’s look at this realistically so you can really embrace those parts of you that maybe you need to give yourself a checkup from the neck up with and be able to switch them so the stories that you tell yourself are super-powerful. You know I like to keep it spiritual but also scientific so I want to bring in some facts and figures to this because I think it is profound. It is super-exciting to understand just how powerful stories are to our minds and our bodies as well as in our health and our happiness. Science proves that we have 50-70 thousand thoughts per day. This means we have approximately between 38 and 48 thoughts per minute. There is this overwhelm of information that we are receiving, giving, interpreting, filtering through our lens as we see the world and everything. That is overwhelming when you look at it like that! Instantly, what that highlights is that your mind will only ever be able to really latch onto the ones that are super powerful. When they are super powerful they become the dominant thoughts. Instantly, out of those 38-48 thoughts per minute that are going on, that’s 50-70 thousand per day, it’s only the dominant ones that will get through. And those dominant ones are the ones that come through with repetition, with authority and/or with impact. Unless you are a pioneer in thinking, unless you are creating new ideas, new concepts that have never ever been thought about before, that are totally brand new, then you are going to be repeating someone else’s information aka someone else’s story, based on somebody else’s story before that and then somebody else’s story before them and so on. So actually, all our thoughts are just stories. It’s important to understand what those stories are and where they come from and how they need to be, if they need to be different. Because you are the teller and you are the listener of your own stories day in and day out, every hour, every minute, and every second. You have to be so aware of what those stories are that are helping you or hindering you. 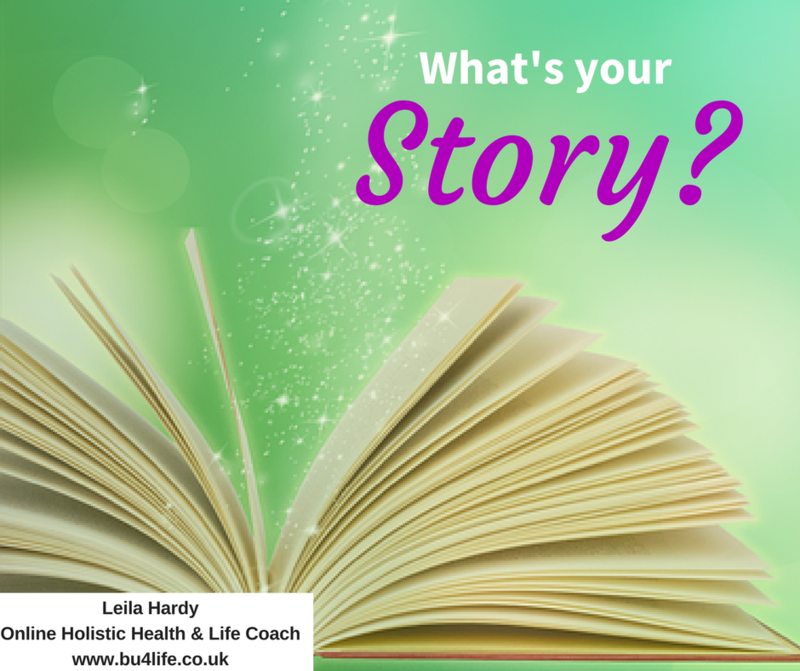 If every thought that you have is merely a story, then we use those stories to base how we perceive our life, how we perceive our health, how we perceive our relationships, our wealth, all through our life’s lens. “I am in pain” created some powerful imagery for me. It created this imagery of being in a bath surrounded by pain. It felt quite overwhelming when I thought of it. If I, someone who doesn’t use that language very much, can see the power of the imagery that it is painting in our subconscious and in our mind, it has that impact that feels so overwhelming and suffocating, can you imagine somebody who is in pain who is using that language and owning that pain the way I have just described? Imagine how debilitating that might be. I’m going to stop here for today. I want you to think about these stories you’ve heard and been telling yourself. The next part of this blog continues with how we have these unhealthy thoughts and how we can switch them to positive ones. As always if you have any thoughts or questions, I’m always here for you. Don’t hesitate to contact me.